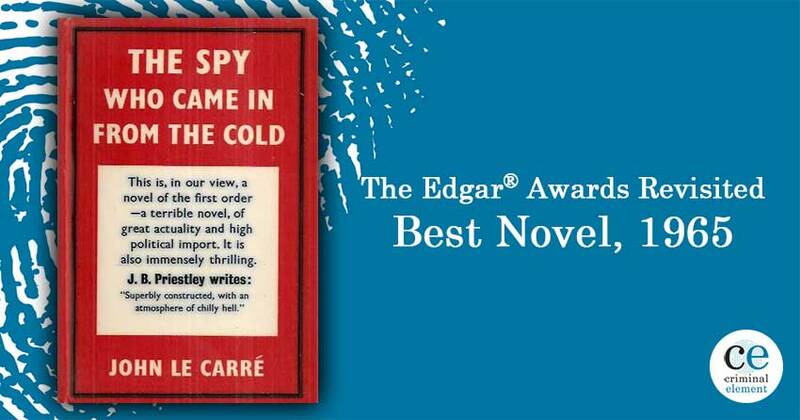 Revisit John Le Carré's classic novel The Spy Who Came in from the Cold—the 1965 Edgar Award winner for Best Novel. It was during this tense struggle that The Spy Who Came in from the Cold was published in 1963. The story was opportune and perhaps no author at that time was better qualified to write it than the British MI6 agent, David John Moore Cornwell. Cornwell had already written two spy novels in 1961 and 1962 as John le Carré, a pseudonym required by the British Foreign Office. Unlike his two previous novels, The Spy became an international bestseller. With the book’s success, le Carré retired from MI6 to become a full-time writer. 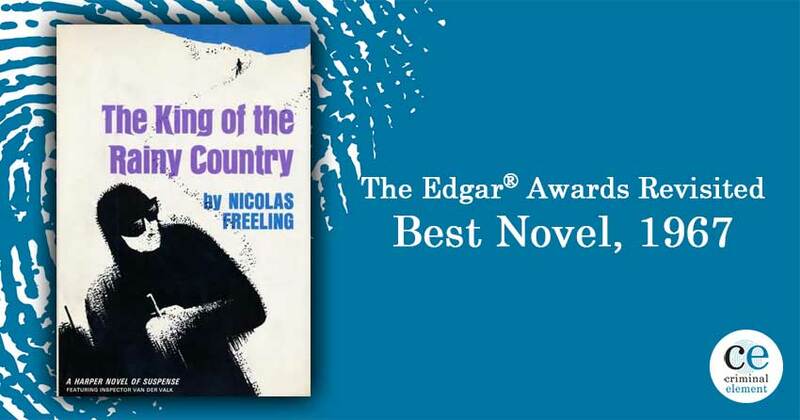 The Spy went on to win several awards, including the Edgar Award for Best Novel in 1965, and was released as a film starring Richard Burton that same year. Le Carré’s central character in The Spy, Alec Leamas, certainly can’t be confused with James Bond. Leamas has devoted his career as a British agent gathering intelligence on the Eastern Bloc. Stationed in Berlin, he has conducted espionage activities inside East Germany (the German Democratic Republic) with the assistance of a double agent, Karl Riemeck. The book opens with Riemeck being called in from the East by British intelligence. Leamas waits at a checkpoint along the Berlin Wall for Riemeck to feign his way past East German sentries. Just when it looks as though Riemeck will make it to the West, he is shot and killed, the victim of his girlfriend’s betrayal. It is at this point that Leamas’s character is revealed—he’s a burned-out, underpaid government agent who no longer cares, a man whose belief in who is right and who is wrong has become so blurred that a moral-equivalency has developed between communism and democracy. Finished with spying, Leamas decides to retire—to come in from the cold. The head of British intelligence, a man referred to as Control, agrees to bring Leamas in, provided he completes a final mission—arrange for the death of Hans-Dieter Mundt, the head of the East’s secret service, who is responsible for Riemeck’s death. Control knows that Mundt’s deputy, Josef Fiedler, is Jewish and hates his former Nazi boss. Moreover, Fiedler already suspects Mundt of working as a double-agent for the British government. Control develops a dangerous plan that will require Leamas’s reputation to be publicly smeared so that his feelings of betrayal and his loathing of British intelligence will become obvious to the East. It is hoped that Leamas will be recruited by the East as a double-agent where he can supply concocted information that confirms Fiedler’s suspicions. The East will then convict Mundt of treason and sentence him to death—a result considered by Control as morally superior to the West simply assassinating Mundt. It is at this point that the book became a bit tiresome for me. Le Carré is laying an intricate foundation for what is to come and he does an excellent job, but I grew weary of Leamas’s drinking, sarcasm, and misery throughout the first third of the book. Antsy for something exciting to happen, I had to wait, but I was not disappointed. Control’s plan works and Mundt goes before a communist tribunal. His defense, however, is that Leamas has been planted by the West to orchestrate Mundt’s downfall with the assistance of Fiedler, who is at worst a double agent or at best negligent and gullible. Either way, it is Fiedler, not Mundt, who is the threat to the East. To support his claim, Mundt calls a surprise witness who enters the courtroom. At this point, the story is racing forward with more twists to come, all of which are wonderfully dark and surprising. So much so, that the drunken, burned-out Leamas, who had grown so tiresome to me early in the story, becomes a tragic hero by book’s end, an ending that is terrifically satisfying. 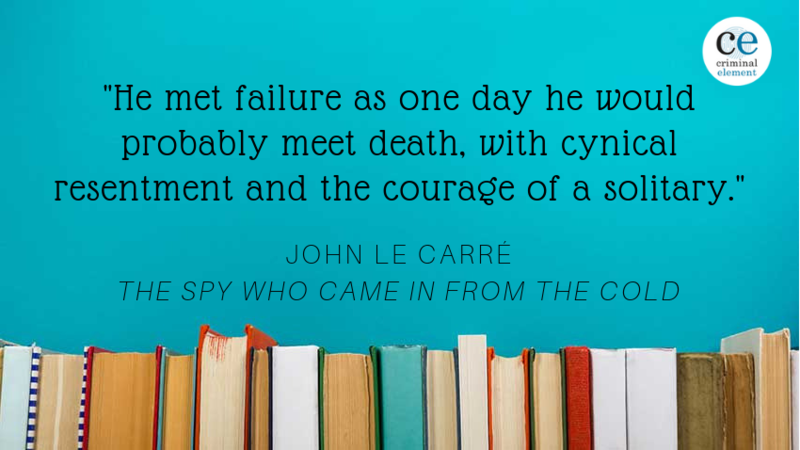 Le Carré followed up The Spy with several books spotlighting Alec Leamas’s fellow agent, George Smiley, who had assisted Control in developing Leamas’s final mission. Fifty-four years following publication of The Spy, le Carré revisits Leamas and his fateful mission in the 2017 novel, A Legacy of Spies, that serves as a prequel and a sequel to The Spy. Having read The Spy, I plan to read other le Carré novels now that I know my patience will be exceedingly rewarded. 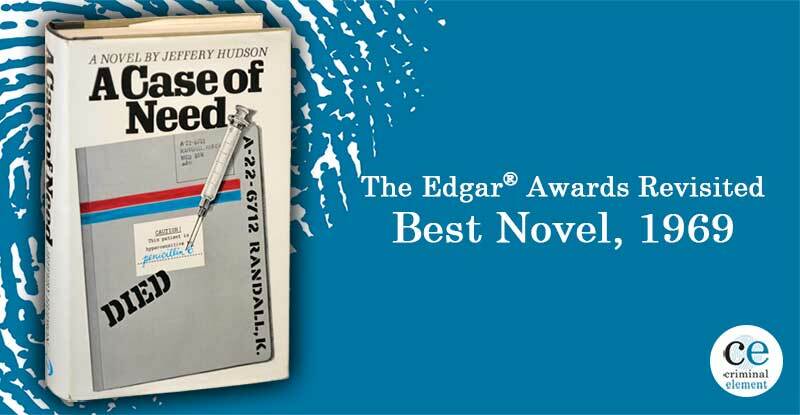 There is no question in this reader’s mind that John le Carré and his 1965 Edgar Award-winning novel have conquered the passage of time and are easily among the best of the spy novelists and the spy novels. The other nominees for Best Novel included: Margaret Millar for The Fiend, Hans Hellmut Kirst for The Night of the Generals, and Mary Stewart for The Rough Magic. Two Special Edgars were awarded: to Philip Wittenberg for his long years of voluntary service and to Dr. Milton Helpern for his work in forensic medicine. Lawrence Treat won the Edgar Award for his short story “H as in Homicide” which originally ran in Ellery Queen Mystery Magazine (March ’64). 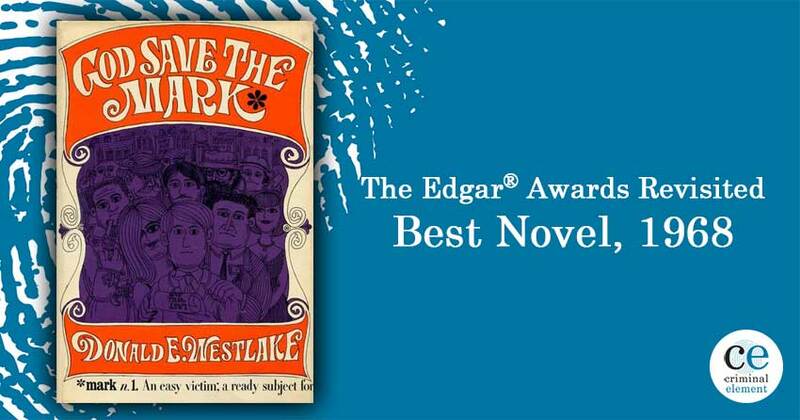 Harry Kemelman won Best First Novel for Friday the Rabbi Slept Late, beating out Amanda Cross (In the Last Analysis) and Rubin Weber (The Gravemaker’s House). The film Hush, Hush, Sweet Charlotte, starring Bette Davis, Olivia de Havilland and Joseph Cotten won Best Motion Picture. The Fugitive won the Edgar for Best Episode in a TV Series. We’re more than a decade into the series, and there are still so many more winners to come! Make sure to stop by next week when bestselling author Phillip Margolin joins us to discuss 1966’s The Quiller Memorandum by Adam Hall. Look for it on Friday. Philip Jett is a former corporate attorney who has represented multinational corporations, CEOs, and celebrities from the music, television, and sports industries. 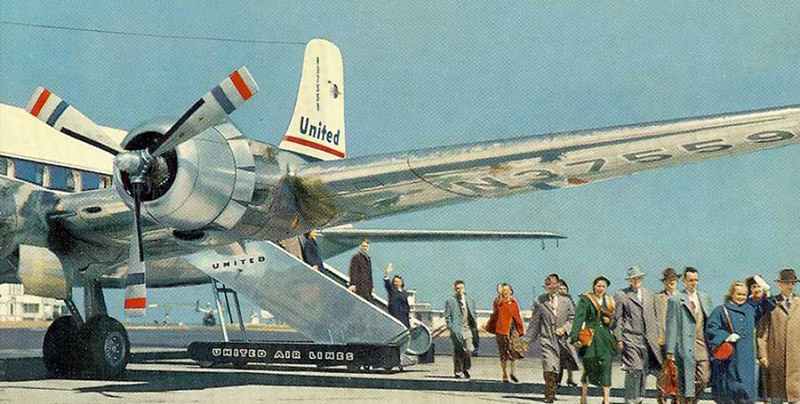 He is the author of The Death of an Heir: Adolph Coors III and the Murder That Rocked an American Brewing Dynasty. Jett now lives in Nashville, Tennessee. The Spy Who Came In From the Cold has all that you would ever want in a spine-chiller – obscure characters, a plot that is continually advancing and astounding, with a setting that is jaw-droppingly figured it out. custom essay writing service – australianessay.com. Engaging on levels that different books can just dream about, The Spy Who Came in From the Cold abandons you as chilled as a Berlin winter.